A few weeks ago I sadly realized that my beloved Alima Pure Sombre Contour Powder from the Limited Edition Collection designed by Kristen Arnett, was almost completely gone. The worst part is that I was not able to purchase another one because they sold out. After this heartbreak I turned my attention to the Alima Pure bronzers that are part of their permanent collection. My choice came down to two shades, Mauna Loa and Trinidad, which turned out to be good buys, especially considering that I am currently in serious need of a little tan. 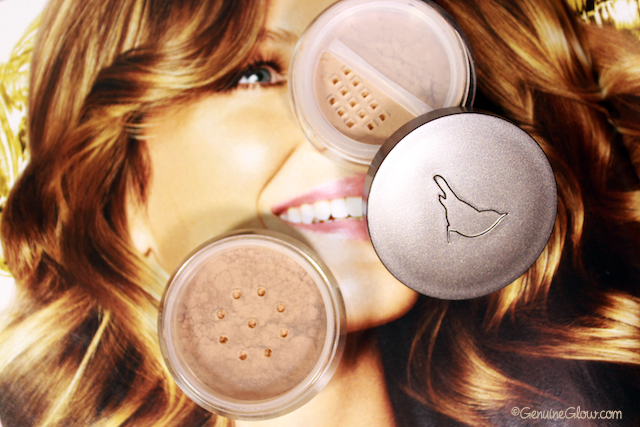 As with all other Alima Pure face products, their bronzers are loose powders. Due to my clumsiness loose powders used to be a big turn-off for me until I learned to press powders (Sombre was actually the first powder I pressed in my desperate attempt to conserve it). Both bronzers are completely matte and as you can see in the first photo Alima Pure has changed their jars. They now have the clever regulating piece that locks the powder in and makes for an easier handling and dosing of the powder. My Trinidad(bottom of the first image) is still in the old type of jar, while Mauna Loa(top of the first image) is in the new package. Mauna Loa is a light bronze shade. Of the two shades, this is the one that most resembles the Sombre Contour powder – minus the ashy tone that makes Sombre my favorite. This is the one that I have been wearing the most and will be wearing daily until Summer gifts me with a little unintentional tan. Mauna Loa would suit fair to light skin tones. It is a very realistic shade of a tan, so it won’t make you look like an Oompa Loompa (I can sense your relief). Trinidad is a darker, warmer shade with a red tone to it. In case you are familiar with it, this one reminds me of the bareMinerals Faux Tan All Over Face Color. This is a great shade to mimic the real color of a tan, which naturally has some red tone to it. Being a little pale at the moment, I have to keep a light hand with this one. I compared Trinindad side-by-side with my other bronzers, and Jane Iredale So Bronze bronzer* is quite similar. 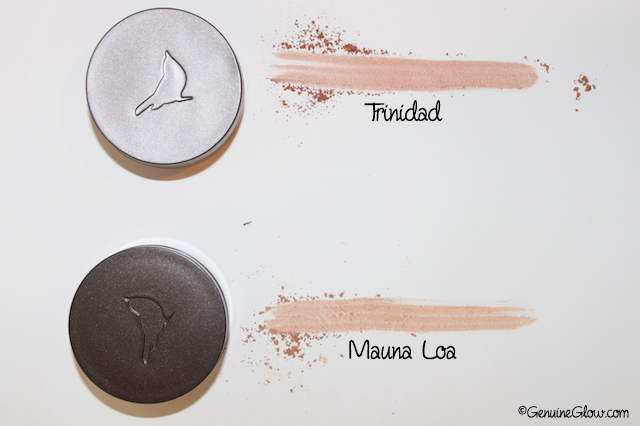 The major difference is that Trinidad is completely matte, while So Bronze has a subtle golden shimmer. Although the gorgeous Sombra Contour Powder did not find a fit replacement, I am glad I added these two bronzers to my collection because both shades are versatile and excellent to mimic a natural Summer glow. 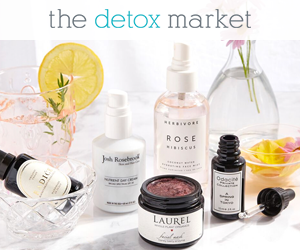 You can find both at The Detox Market. What is your favorite bronzer? Do you plan to pick a new one to step up your healthy glow-game?